The clean lines and shapes of the collection have a modern expression, while the recognizable cross-stitching patterns flirt with a traditional and nostalgic reference of past times. 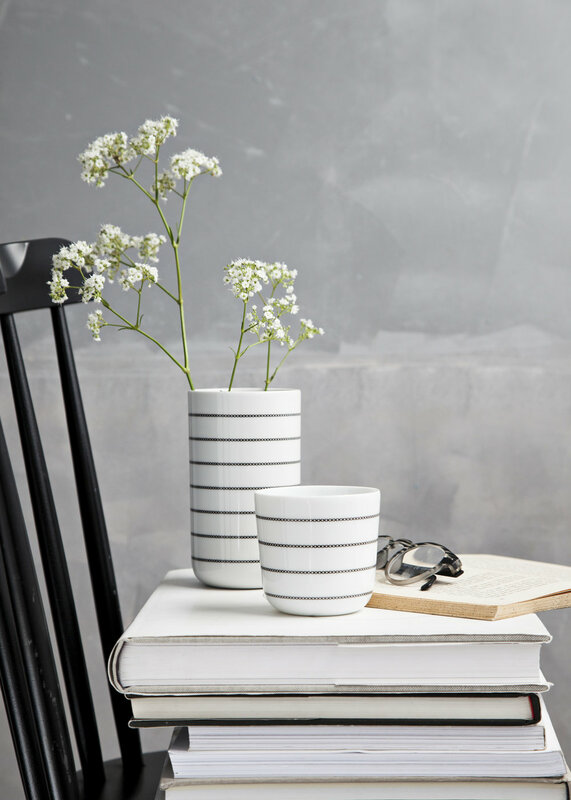 From her studio in Helsingør, Gry develops her designs, from sketching to crafting prototypes. In this creative environment ideas come alive and designs become reality. Cross stitch is a big part of the Danish handcraft tradition, and something closely tied to family. 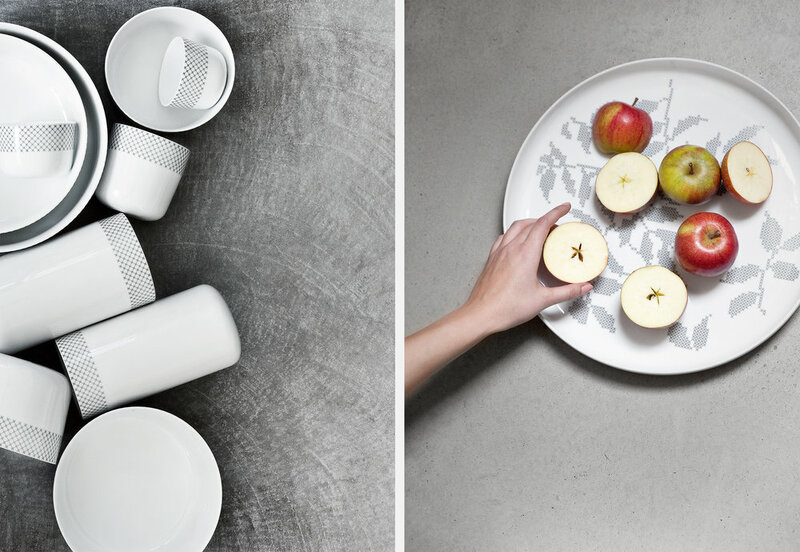 Together with Illustrator Simone Thorup Eriksen, Gry has designed a new tableware for children in porcelain. The tableware is hand-decorated with Simones beautiful drawings of whimsical animals.